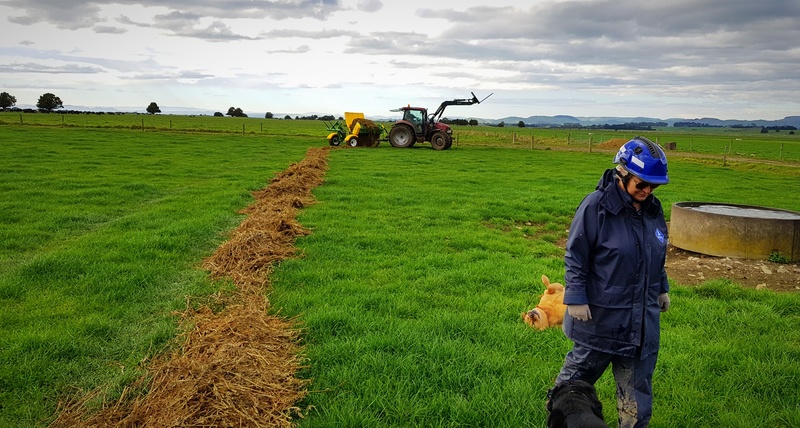 Cameron feeds between 600-800 bales each year and even more during the dry seasons, utilising a combination of round and square bales of balage, straw and hay. After experiencing the success of his first Chainless 2000 3 point linkage mounted bale feeder for 3 years, he decided to upgrade to the 2 bale capacity trailed Chainless 4000, having really appreciated the way it feeds out with rotors teasing apart the bales rather than just unrolling them like the conventional chain and bar setup of others. put a tool on it, apart from an oil can"
Cameron's trusty 4 year old Chainless 4000 has been very reliable, despite the muddy conditions. 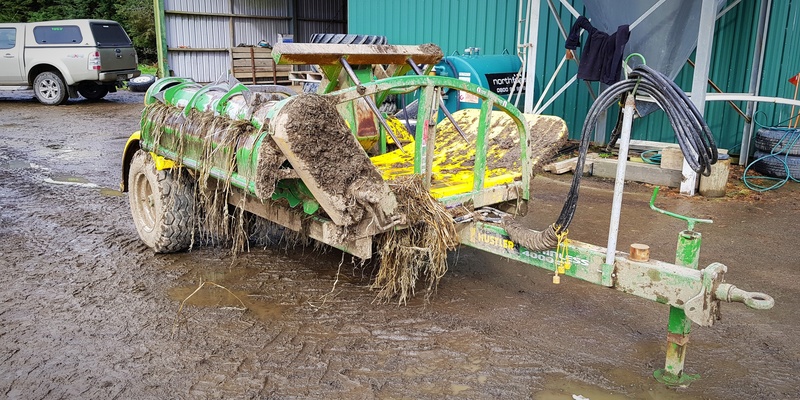 Prior to investing in his first Chainless bale processor in 2010, the previous feeder Cameron had couldn't handle the square bales which meant he'd have to feed them out by hand off the back of a trailer. This was hard work and posed a safety hazard that wouldn't be accepted these days. make adjustments which I noticed straight away"